Whether you’re working with a budget or money is no object, natural stone can be incorporated into almost any design and make it stand out. 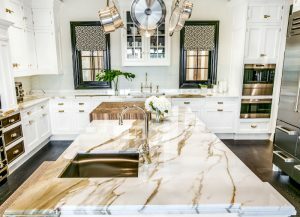 From installing large slabs of natural stone in a space to being mindful and using it as a unique detail, this luxury material will rarely go unnoticed. Calacatta Gold Borghini Extra marble. Photo courtesy of Aria Stone Gallery. 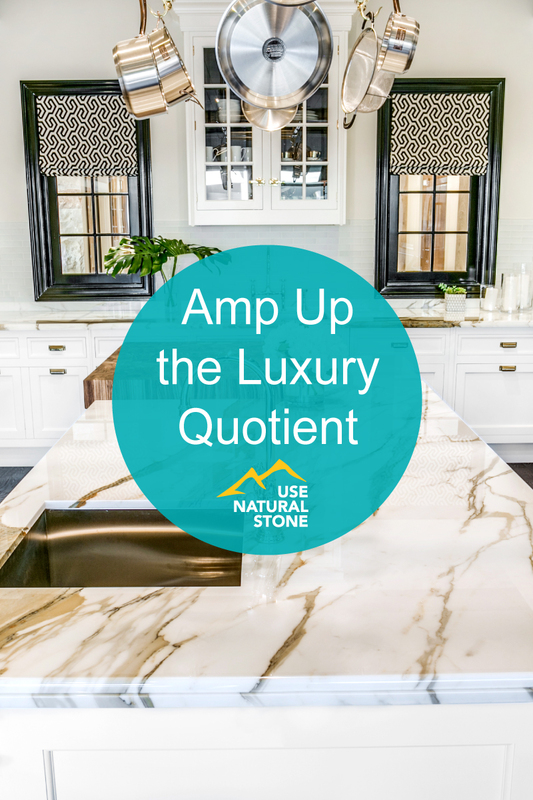 For those who want to elevate their home’s look by incorporating more natural stone, they may want to consider their options beyond the traditional kitchen and bath applications. Susan Kathryn Toth, principal of Version International, Inc, a residential interior design firm based in Toronto, Ontario, finds slate roofs stunning, for example. Other beautiful and luxurious applications include using limestone for headers and sills. “Granite for exterior door sills are practical and beautiful,” she says. This bathroom renovation by Version International features a Blue Azure marble floor and a Carrara marble vanity top. 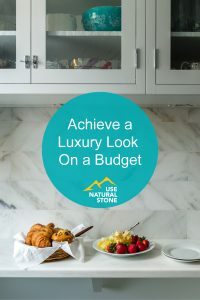 Since most of us aren’t in the market for changing the exterior of our homes as often as we are making changes to the interior of our homes, it makes sense that there are so many opportunities to use natural stone indoors. 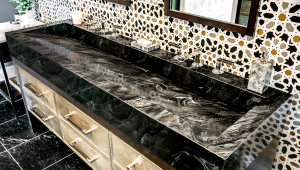 Beyond the traditional uses as countertops, Toth admits that marble tile walls in washrooms are very luxurious. 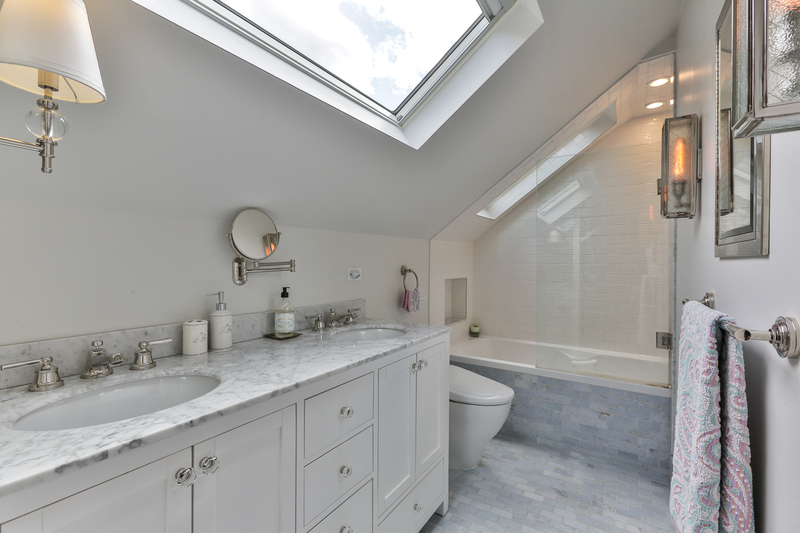 In one washroom renovation, she played off a bathroom’s strategically-placed skylights and chose Blue Azul marble for the floor and baseboards. She offset the floor with a Carrara marble vanity top. Breccia Capraia marble. Photo courtesy of Artistic Tile. 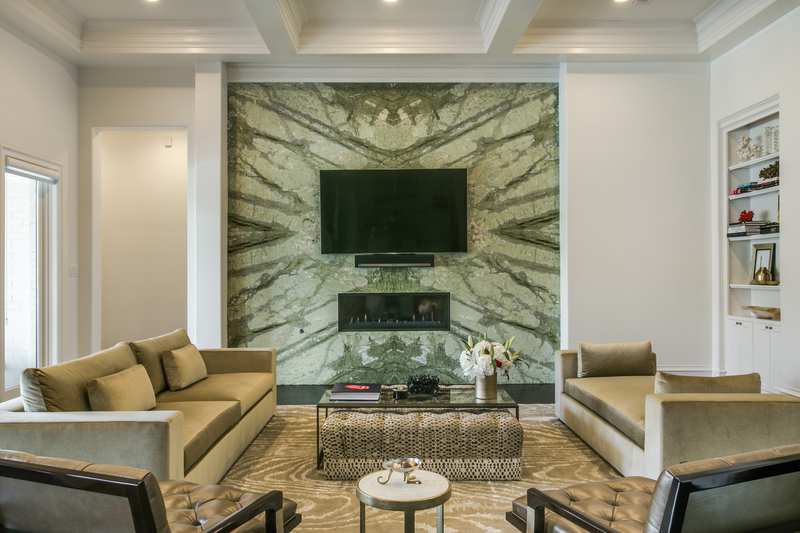 A recent remodel by Artistic Tile in Tenafly, New Jersey, exemplifies creative use of natural stone field tile and slabs mixed with a more contemporary stone mosaic. For homeowners interested in this level of detail, Artistic Tile is able to custom create this mosaic with any material customers specify in order to perfectly match the palette preferred by a client. 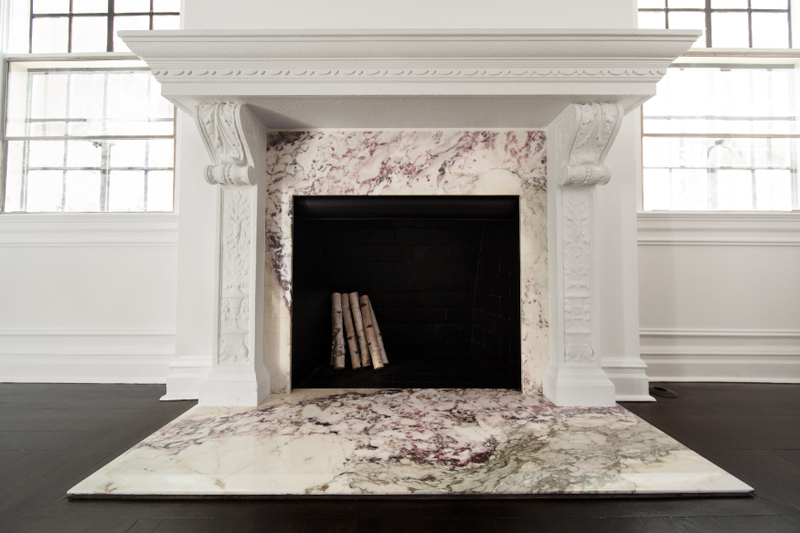 In this case, the homeowner chose beautiful semi-precious Amethyst stones for the details, coordinating majestically with the full wall Breccia Capraia slabs—a truly breathtaking warm white marble with distinctive purple veining as well as some green inclusions, says Joshua Levinson. president of Artistic Tile. 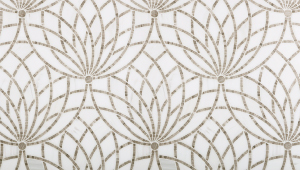 Luxor Bianco Dolomiti marble mosaic. Photo courtesy of Artistic Tile. For another project, in a kitchen, graphic stone mosaic patterns, such as Luxor, a pattern loosely based on Egyptian lotus flowers, stands out against surrounding stone field tile and make a bold statement. 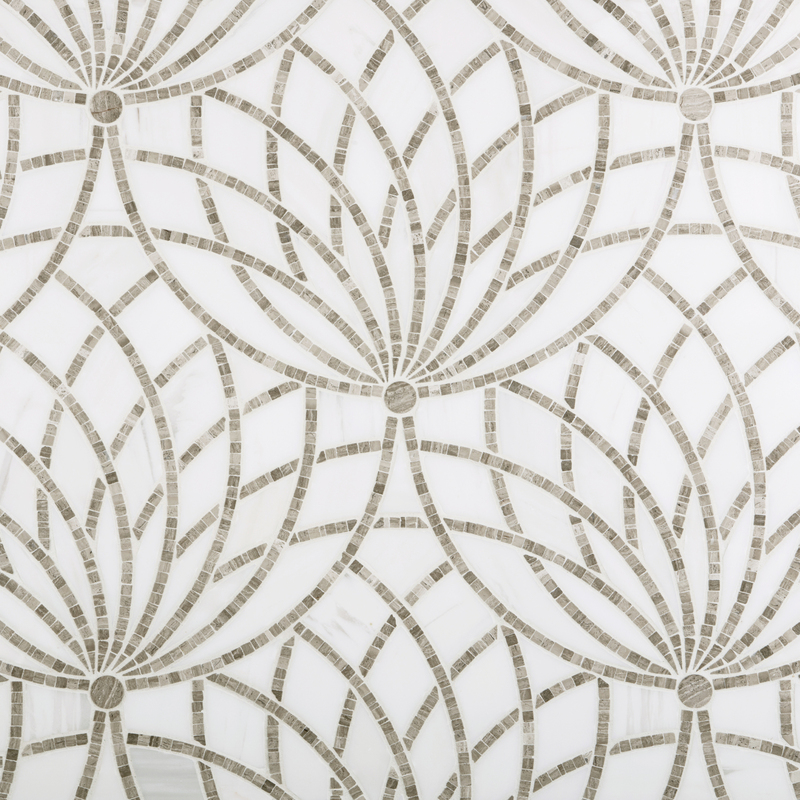 “We create statement patterns in traditional tesserae mosaics, as waterjet patterns, or in a stunning mix of the two,” adds Levinson. 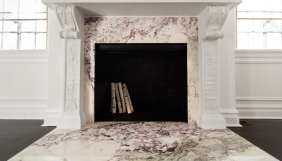 A quadmatched application of Verde Aurora marble. Photo courtesy of Aria Stone Gallery. Graves recommends thinking beyond the traditional applications. 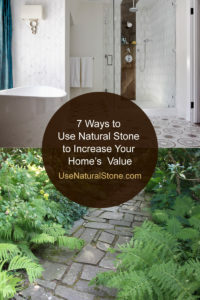 For example, why not consider using quadmatched stone in your hallways or on walls? 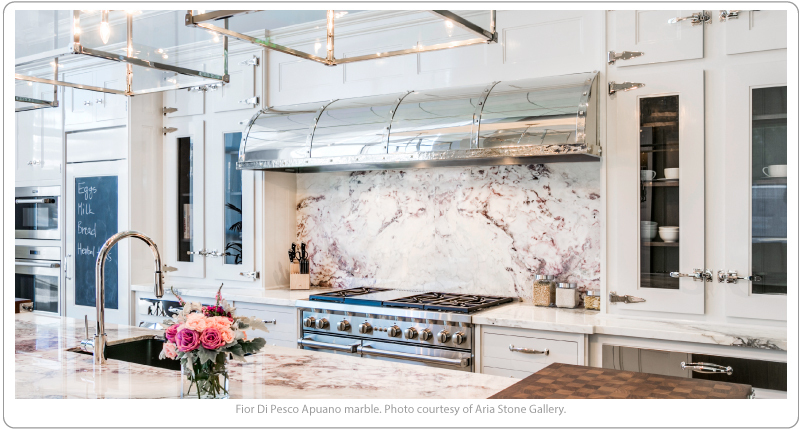 For one client project, Aria Stone Gallery used Verde Aurora marble on an entire wall. 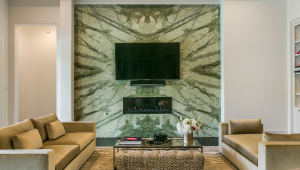 It’s the backdrop for a television and built-in fireplace and while it is hard to notice from a distance, if you look very closely, you’ll see it is quadmatched and the veins are perfectly aligned to give it that dramatic impact that is possible with natural stone. 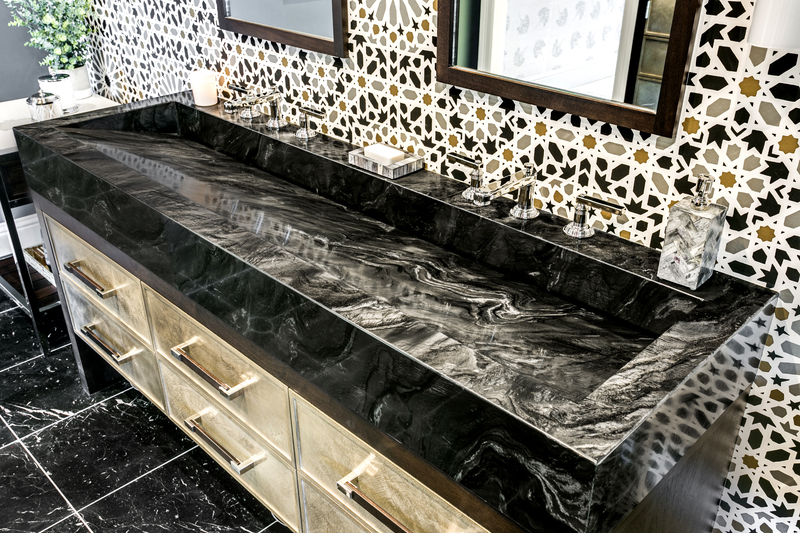 A floating sink is created with Nero Fusion schist, giving it the appearance of molten lava and movement. Photo courtesy of Aria Stone Gallery. Graves reminds clients that natural stone is a beautiful work of art made from mother nature and bringing this inside brings a sense of calm and tranquility while adding an impactful and beautiful piece. 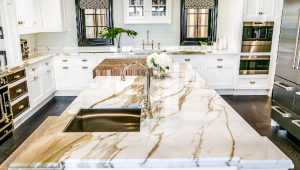 Few materials give homeowners and designers that range and the ability to create a truly luxurious look and feel to a space like natural stone does. 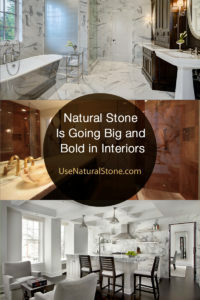 You can’t go wrong in choosing natural stone, adds Levinson. “Because it’s timeless, it will last generations, blending seamlessly with changing furniture and décor as the trends come and go,” he adds.